Elevating Legrest Kit for Drive Medical Power Wheelchair's. 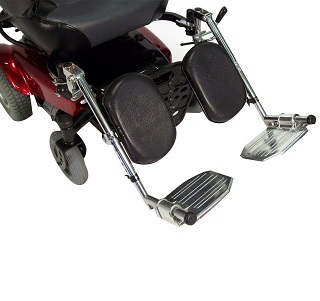 The Drive Medical Swing Away Elevating Legrest Kit is for use with Drive Power Wheelchair bases. Please choose the Legrest Kit that matches the Power Chair from Drive Medical in the drop down box. This is a combination of products that include each drop down box to make it a full kit. This product is standard for all Drive Power Wheelchairs except for the additional brackets needed for the HD or Heavy Duty chairs. Any questions, please contact our customer service at 855-528-2539.